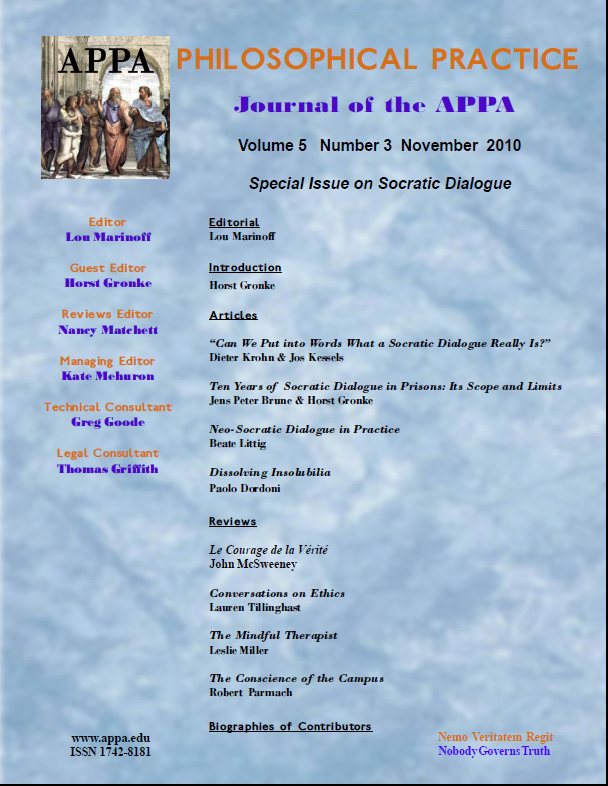 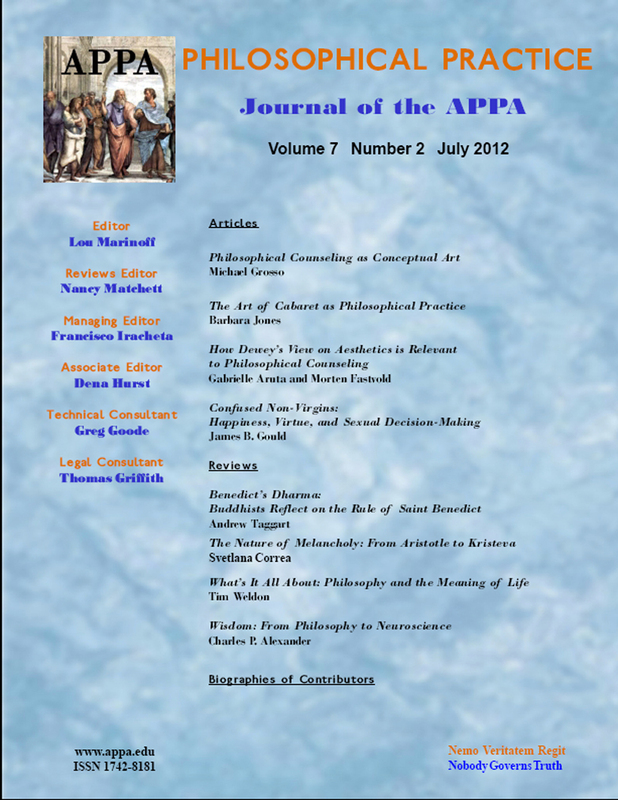 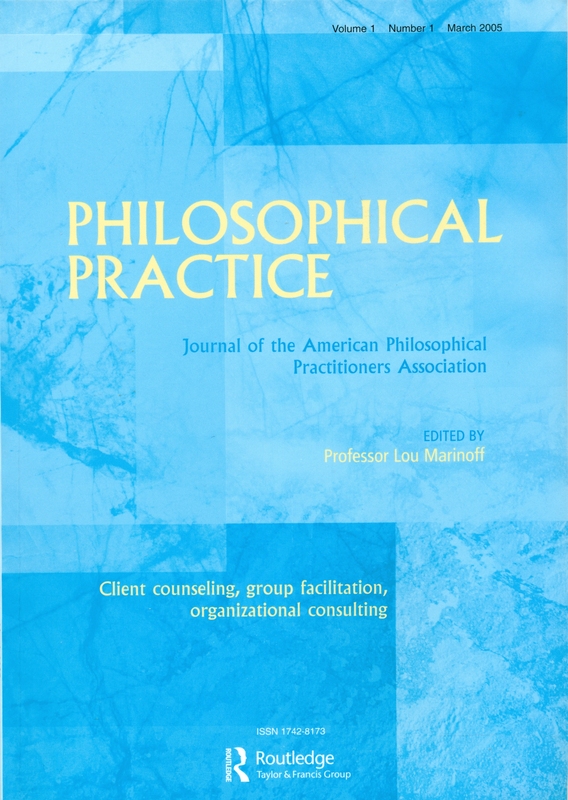 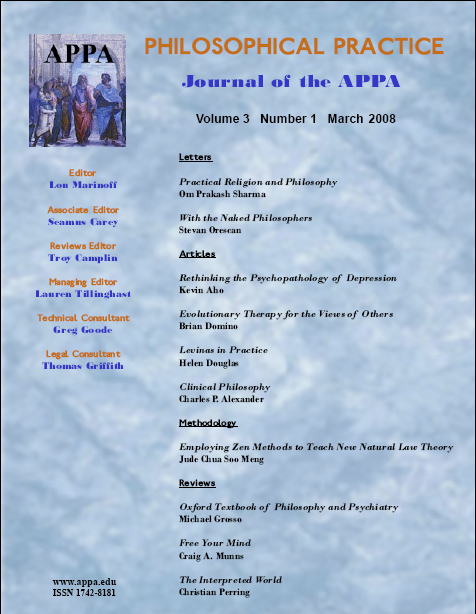 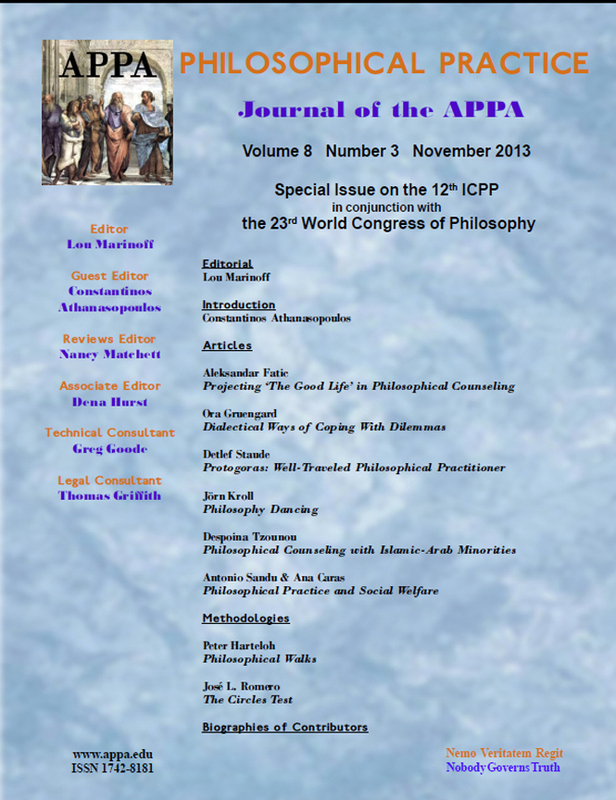 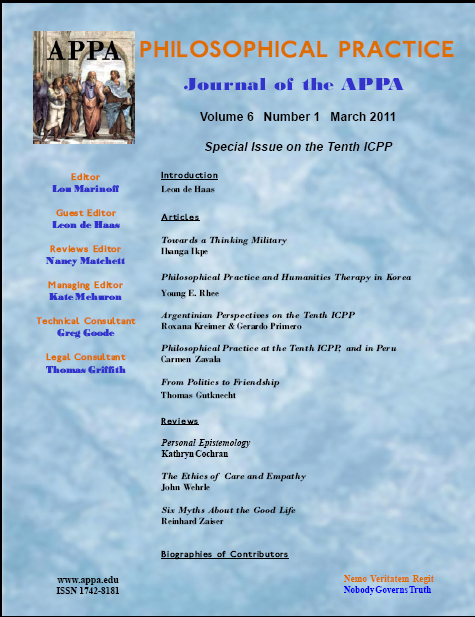 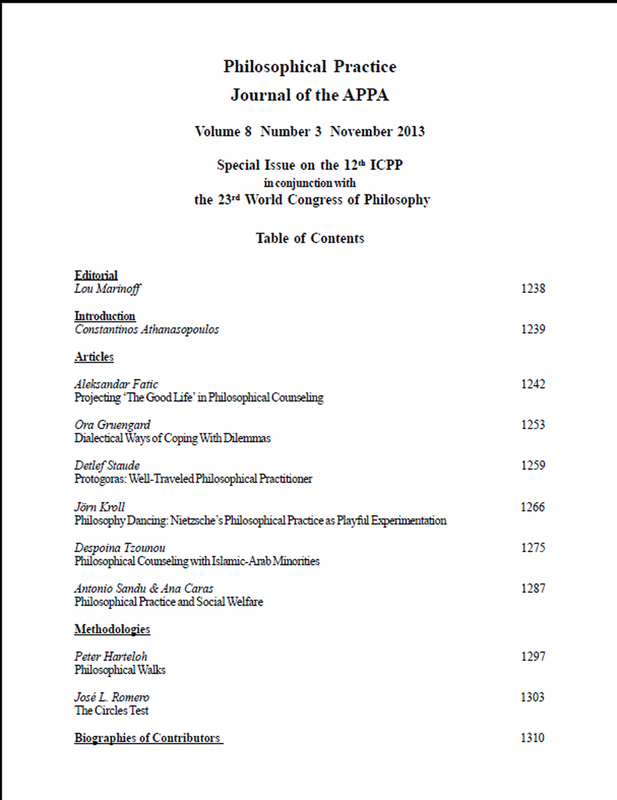 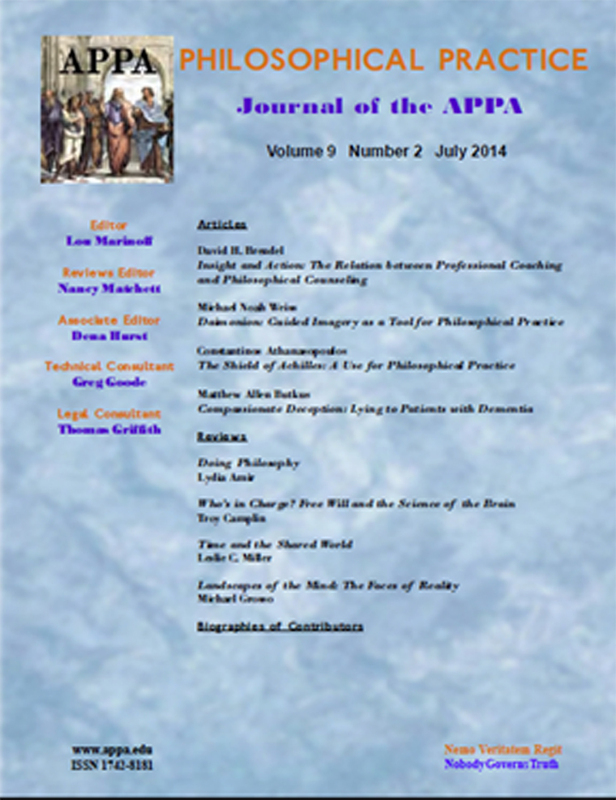 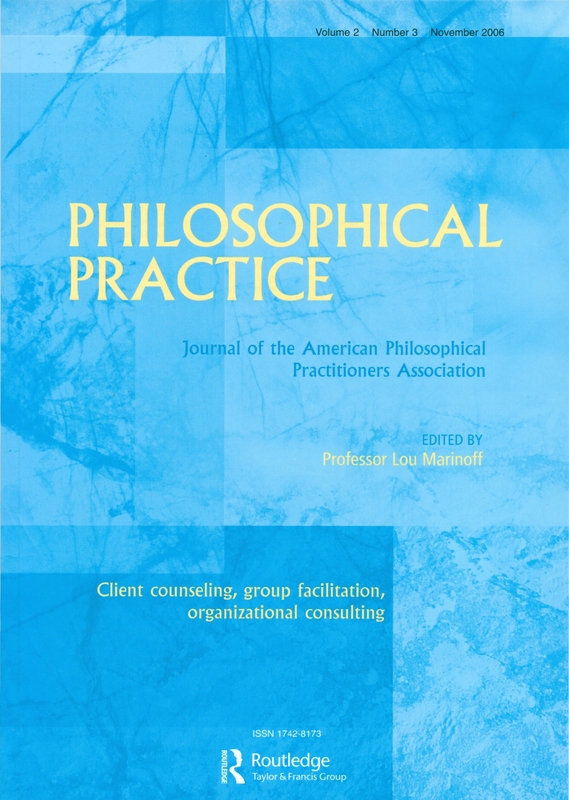 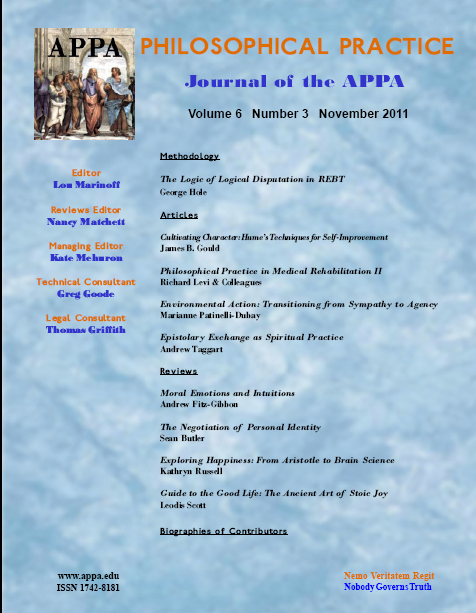 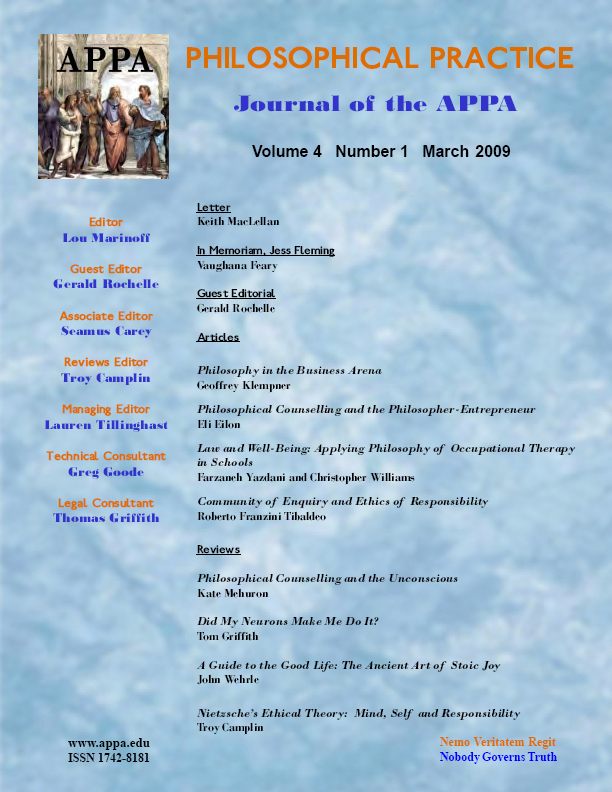 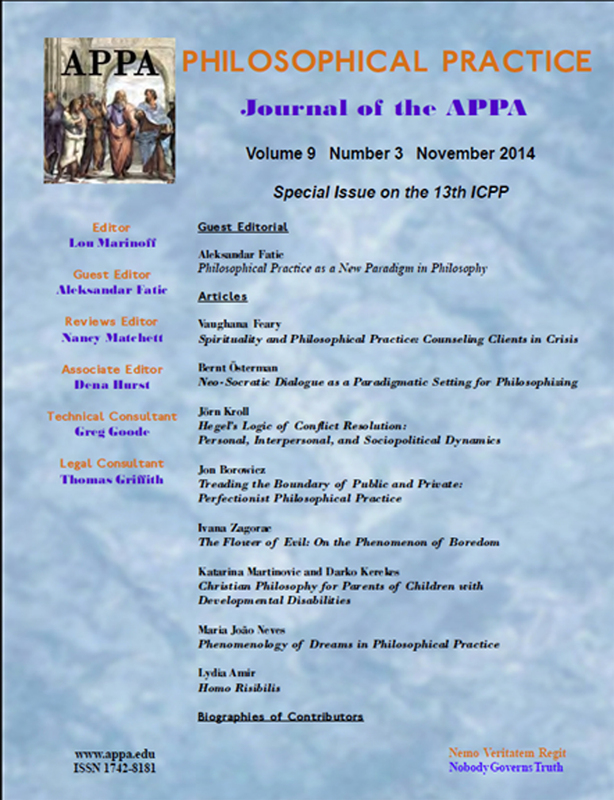 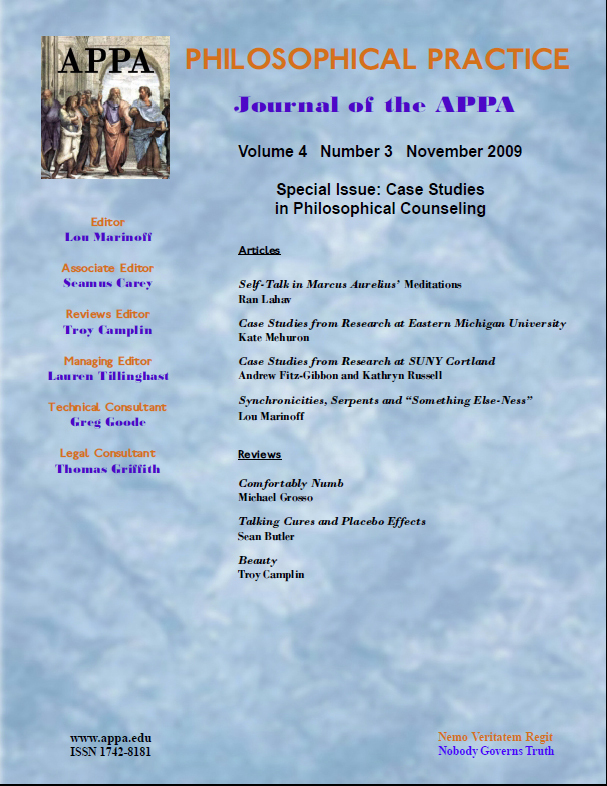 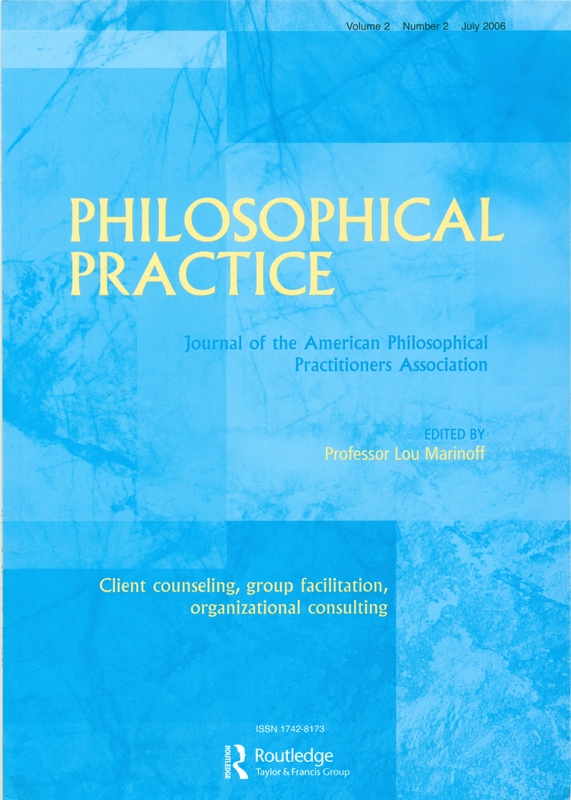 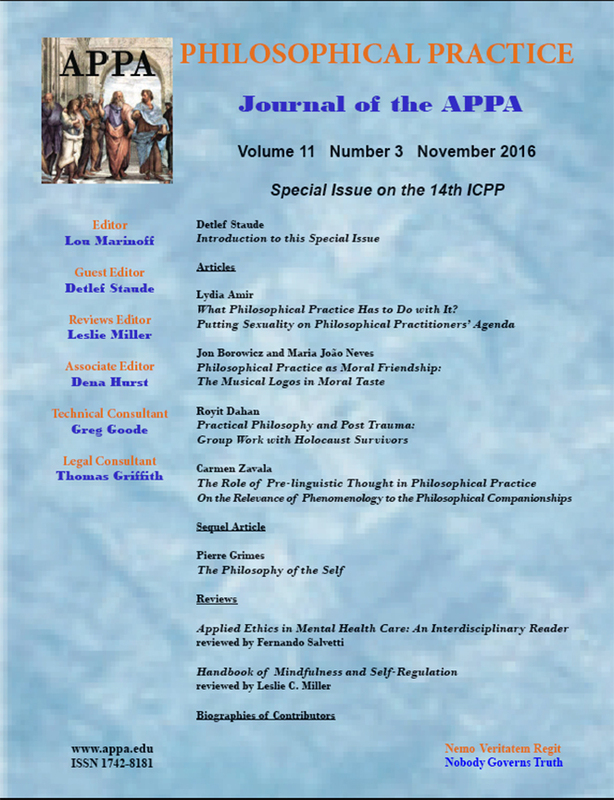 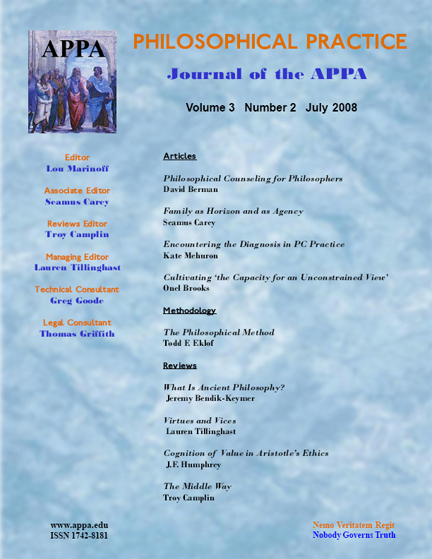 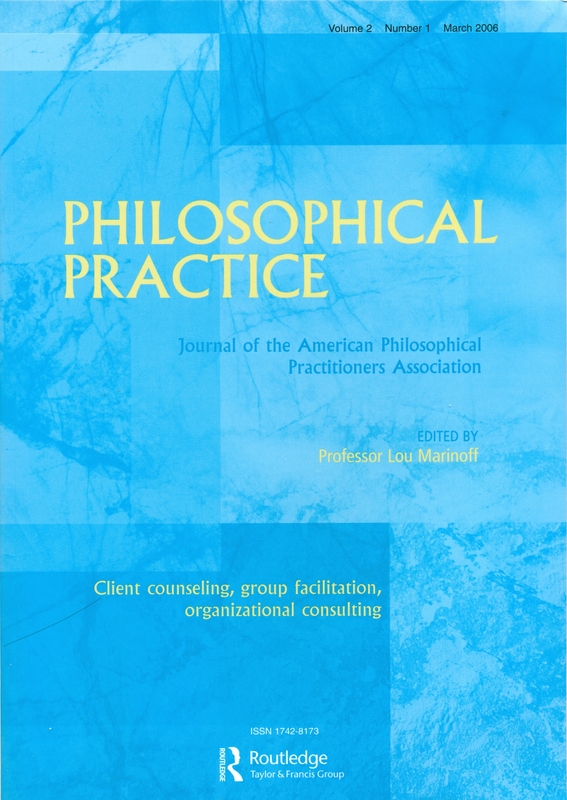 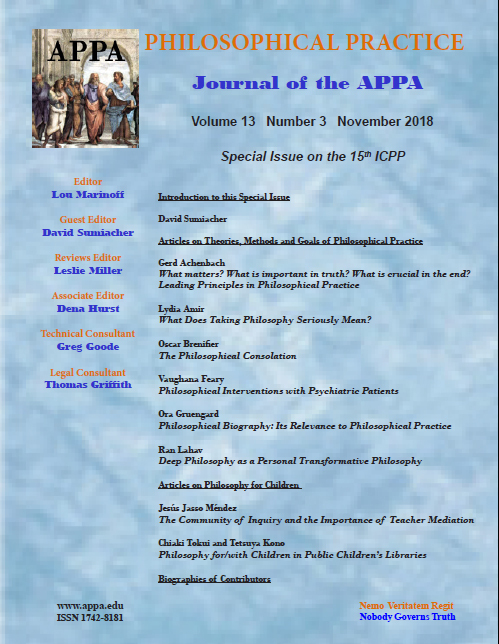 Volume 14.1 contains articles on alleviating moral distress among nurses via philosophical counseling, on establishing philosophical counseling as a profession in Romania, on leading a life according to Daoism, on philosophical practice as a didactic framework for conferences, along with three fine books reviews. Search by author, title, or keyword. 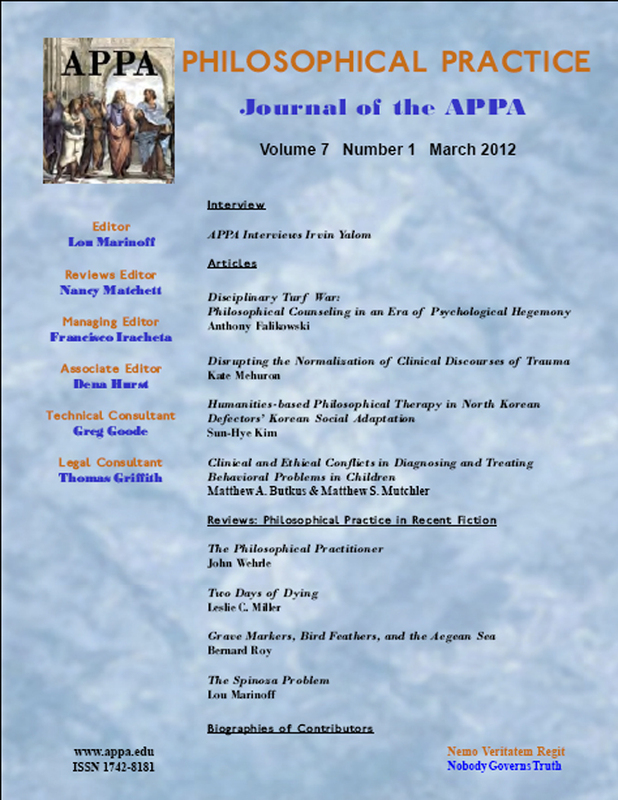 A list of offprints and issues that match your search criteria will be displayed. 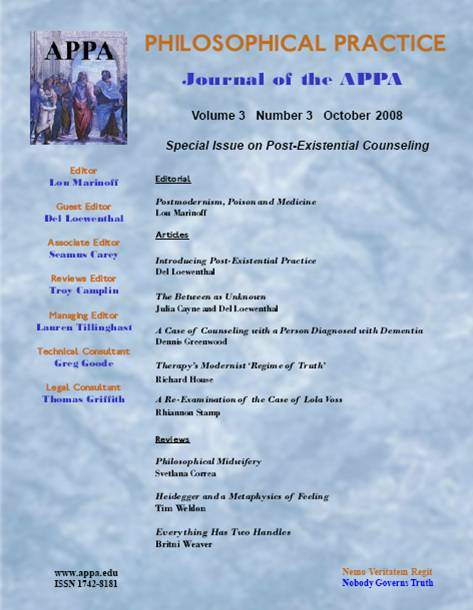 Click on desired item to purchase.